Dutch digital terrestrial television platform Digitenne to offer every channel in 1080p HD TV. With the switch to the newer DVB-T2 and HEVC standard, starting in northern parts of The Netherlands on 1st October 2018, a spokesperson for telecoms company KPN, who operate Digitenne, confirmed that every channel would be offered in the full HD TV format, in a move that puts the platform ahead of other digital terrestrial TV services in Europe. Where content is provided in a lesser format than 1080p HD, it will be upscaled. 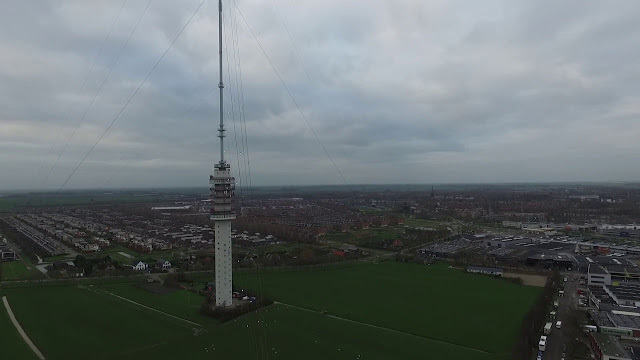 Already, Dutch public broadcaster NPO has been observed testing free-to-air 1080p HD TV broadcasts in recent weeks ahead of the switchover, which will complete in all areas of The Netherlands during 2019. Following the switch, standard definition TV will cease to be broadcast over the airwaves. Beyond the public broadcaster's multiplex, all other terrestrial services are encrypted, with viewers restricted to the offical Digitenne receiver box to access the channels; there is no facility for in-built TV tuners to access the service. Digitenne includes UK channels BBC One and BBC Two as part of a commercial pay TV agreement with BBC Studios, formerly BBC Worldwide. How do other countries fare with HD TV on digital terrestrial television? In Germany, some services on the DVB-T2 HEVC HD TV digital terrestrial TV platform transmit in a so-called "quarter HD" resolution. In France, most, but not all channels are offered in HD, but without the use of the newer DVB-T2 standard, that would have enabled a greater range of channels. Over in the Republic of Ireland, while the two main RTÉ channels are in HD, the remainder are in standard definition. In the UK, HD still makes up a small number of the overall channels available. SD is still widely in use on Spain and Italy's digital terrestrial television services. And in Switzerland, they are closing digital terrestrial TV altogether.